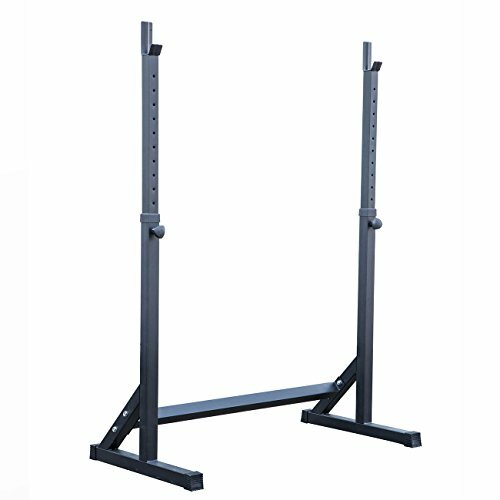 Sturdy, stable rack designed to keep even the heaviest weights safe and secure Bar supports with fully adjustable height ranging from 43 to 66-1/2" inches. Durable 2x2-inch steel mainframe with an extra-wide base is built to last. This is ideal for home use. It is made of sturdy steel that provides the maximum safety. This adjustable squat stand has rubber end caps that protect your floor from scratching. This is an ideal choice for your home exercise. Upright Height Adjust: 43 - 66-1/2"